1. Service Description: Portland Photo Party is a photo booth rental service operated by Photo Booth Entertainment LLC, 15094 NW Decatur Way, Portland 97229. 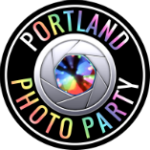 Portland Photo Party will provide photo booth service to Client signing a Service Agreement for the date, hours and locale indicated in the section "Event Information" on the first page of the agreement. Client will receive the Package indicated under the "Service Plan" section as well as any indicated features, such as: photos, green screen backgrounds, video and social media integration. Photos and videos may be uploaded to the Client's dedicated gallery hosted at Facebook.com and SmugMug.com. The Client may opt to keep their online gallery private, in which case Portland Photo Party will provide password protection. Portland Photo Party may provide, according to service plan selected: a display of props for guest entertainment, a professional attendant to guide guests and maintain the booth operationally; a flash drive containing high-resolution photos and videos created at Event; a custom logo for Event. Travel, setup, and breakdown time are also included and are not part of Client's rental time. Portland Photo Party will provide a professional attendant for all Event rentals. Other services may be provided according to package chosen. 2. Technical limitations: Downtime: There may be 10-15 minutes of downtime if printer materials need to be changed. In the unlikely event that a technical problem arises, a pro-rated refund will be provided based on any downtime (changing of printer materials excluded from prorated refund). Internet: Portland Photo Party requires a reliable internet connection to upload images to social media. We have our own wireless data hotspot. If for whatever reason we are not able to establish a stable internet condition we will endeavor to upload all photos/videos within 24 hours after your Event. **Client assures there is a 120-volt electric outlet within thirty (30) feet of the desired performance area. **Client shall be responsible for any damage to the photo booth and related equipment caused by the Client, a third party, or adverse weather. 4. Deposit and Payment: A nonrefundable 50% deposit is required to book your date with Portland Photo Party. The balance is due 30 days prior to event. Please make checks payable to: "Portland Photo Party" and mail to Att: Jacques Neher, 15094 NW Decatur Way, Portland 97229. Any returned checks will incur a $50 charge. Non-payment of balance by due date may result in cancellation of service. 5. Additional time: Additional rental time may be provided on day of event if scheduling permits. Additional time will be billed at $200/hour. 6. Cancellation: Client may cancel the Event at any time by notifying Portland Photo Party in writing. Client is responsible for a cancellation fee equal to 50% of the full amount for all booked services and fees. 7. Booking modification: Portland Photo Party will accommodate reasonable Event date change requests, without cancellation fee, where equipment and personnel is available. 9. Limitation of Liability. The parties agree that, to the maximum extent permitted by applicable law, in no event will Portland Photo Party be liable to Client for any direct, indirect, incidental, consequential, special, or punitive damages of any nature whatsoever resulting from, arising out of, or related to, any mechanical failure of the photo booth, use or misuse of the photo booth, or under any legal theory, including without limitation, loss of use, cost of any replacement or substitute equipment, loss of profits or revenue, loss of opportunity, loss of goodwill, loss or reputation, loss of life, any third-party claims, or any other indirect or consequential damage howsoever caused even if Portland Photo Party knows of, or has been advised of, the possibility of such damages . The parties agree and acknowledge that in no event will Portland Photo Party's total cumulative liability arising out of or related to this Agreement, including without limitation, in the event of mechanical failure or other failure to provide a functioning photo booth, exceed the price paid by Client under this Agreement; Client's sole and exclusive remedy, in lieu of all other remedies, against Portland Photo Party for any and all claims is a refund of the price paid by Client under this Agreement. The price offered to Client under this agreement is consideration for such limitation. 11. Collections: If arbitration or litigation is commenced to collect any unpaid balance, the Client agrees to pay Portland Photo Party collection costs at a liquidated amount of 33% of the total account receivable as well as pay all of Portland Photo Party's reasonable attorneys’ fees incurred in bringing a collection action to recover payment for amounts due under the Agreement. 13. Applicable law: This Agreement is made under and shall be governed by and construed in accordance with the laws of the State of Oregon.